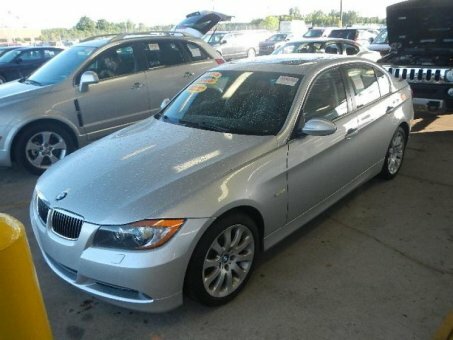 2006 BMW 330 Xi sedan. It has all the amenities of a luxury vehicle. It has sports package, cold weather package, and premium package. It has headed windows mirrors, headed leather seats, DTC-Dynamic traction control, etc. It has automatic everything. Automatic transmission with 6-Cylinder, HO, 3.0 Liter and 255 horse power engine. The car has been recently checked by a mechanic. It is up to date on all necessary maintenance. Mechanically the car is sound, and has no issues. Cosmetically the car has some scuffs and the windshield has some cracks. The radio does not work. It is the only actual problem with the car. The car does great in the winter time. It is a smooth, comfortable, and fun car to drive. It does come with 3 set of keys :). If you have any questions please contact me I am ready to leave the state as soon as I sell. The price is negotiable, so ANY reasonable offers will be considered. Please be serious about buying if you do contact me and NO joy rides. Thank you. PS the car is a little messy and dirty. It will need a wash and detail. I will have that done for the buyer if they want.